A template setup is when the HubSpot Migrations team creates a standard set of page, system, and blog templates that match your general website style. Migration technicians will create a set of templates with the same header, footer, and general body styles as the URL that you submitted. Please note: a HubSpot template setup is not a design or redesign project. You’re welcome to make changes to your templates after the migration, but HubSpot’s migration technician can't accommodate any design requests. Additionally, if any changes are made within the header or footer of your existing website design after you purchase the template setup, those changes won't be included on your HubSpot templates. What's included in a template setup? What elements can't be included in a template setup? A template setup includes new page templates, system templates, and a blog template. Depending on the setup, your blog post and blog listing templates may be built out as one template or two separate templates. Learn how to request a template setup and the expectations for the timeline of the project. In the left sidebar panel, select Migrations, then click Start setup. Enter a URL from your website that best represents the style you'd like to use for your HubSpot templates. If you have a blog, you can enter your blog URL. Click Confirm and start migration. Please note: if you don't have this option in your Account & Billing page, reach out to your Customer Success Manager to request a template setup. After your project has been kicked off, navigate back to the Migrations page to check the status of your template setup. This dashboard includes the current project status, and the time expected for each remaining step. Generally, your template setup can take 7 to 14 business days to complete. 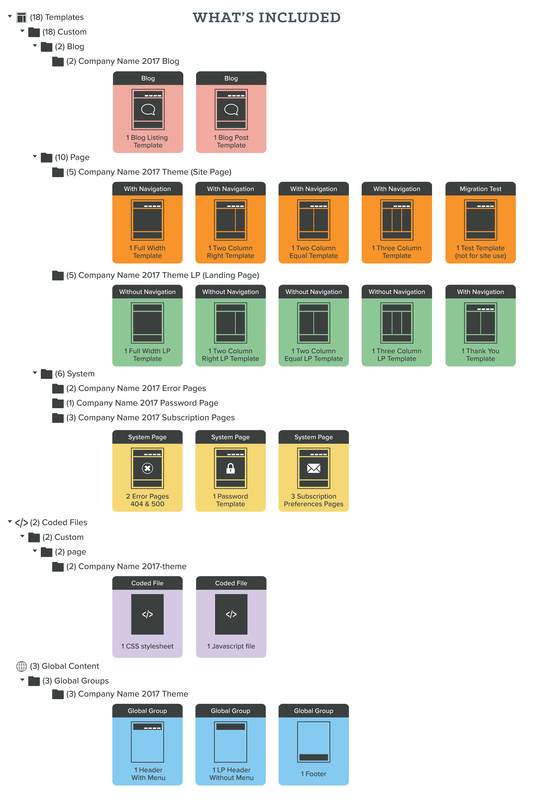 In a template setup, your existing website styles are recreated on HubSpot's CMS framework, according to the website review agreement you've completed with the team. Certain types of widgets, fonts, submenus, scripts, or unsupported file types may not be included on your HubSpot template. If there are elements that can't be included on your HubSpot templates, you can host that content elsewhere and create a seamless experience for your visitors by setting up a subdomain or iframe from your HubSpot-hosted site. For advice or assistance with this process, check out the Partner Directory to find HubSpot designers. You can also reach out to your Customer Success Manager if you have any additional questions.